Marketing is the process associated with promotion for sale of goods or services. Merchandising means maximizing merchandise sales using product design, selection, packaging, pricing, and display that stimulates consumers to spend more. Paco Underhill’s book is written for retail sales. House sales follow the same basic principles. There are two parts to selling your house Merchandising and Marketing. Follow my 3 easy steps to merchandise your Salt Spring Island house. Gather all the relevant information on your house. We live in the information age and buyers want any and all relevant information on the house they are thinking about buying. If you do not fill in all the blanks and thus leave doubts they will not buy. The buying decision is easier if all the facts are known. This is the type of information the buyers would like; building plans, building permits, title, easements, floor plans, surveys, appliance receipts, septic tank pumping receipts, telephone bills, cable bill, electric bills, Internet bills, tax notices, fire insurance docs, water bills, propane rental tank contract, home warranty documents and any strata documents. Septic inspection company to send a high tech camera down into your septic field. With septic systems costing so much, due to the new provincial regulations, a non-serviceable system could cost you the sale. Fields can be cleaned out with powerful high-pressure water. Have a water testing company do a water test. Surveyor to flag the property boundaries. Hire an energy auditor to do a household energy audit and get an EnerGuide rating for your house. Hire an appraiser to tell you what your house is worth. Rent a storage locker and fill it. Removing 25% – 30% of the contents of your house will make it look 50% – 60% bigger. You’re planning to move anyhow, so might as well get packing. Stage your house to sell. You are not selling your home you are selling your house. Your home is all your possessions and you will be moving them to your next place you call home. A stager will make your house look and feel like a gorgeous show home. Hire a pro photographer and have them shoot a minimum of 20 incredible photos. Create a Brag book. A Brag book is a book which is left out during the showing and has all the information on your house in it. About 70% of houses are shown by other agents, not the listing agent. A Brag book will give the buyers every scrap of information so they can make a buying decision. It should be able to answer every question about the house. If there is doubt or unanswered questions the buyers will hesitate. No one buys if there is doubt. Put yourself in the shoes of the buyers. Chances are they have traveled a great distance to get here, they are not sleeping well, the winding roads have made them feel woozy, they are not in their comfort zone. Most agents set up showings at 30-minute intervals. That includes travel time between houses. If they spend 30 minutes at your house it is critical that you make it count. If you have guests come over it is polite to offer coffee and cookies/muffins. The buyers have been run off their feet and chances are they are tired. Once they come into your house you want them to feel at home. Most buyers head for the center of the house first, which is the kitchen. This is where you have the coffee waiting for them, with a sign that says the cream is in the fridge. When they open the fridge they feel like they are at home (did you get that “at their new home”). A simple muffin and coffee makes them stop and relax. What do you think you could put right there in the kitchen? The Brag book, Brochures and a suggestion box for feedback. The buyers will be more relaxed, in a better mood and happy. Very few if any sellers do this. This is so simple and powerful. With the Brag book out, property flagged and the house staged, the buyers will see your house at its best. They will be feeling better with a coffee in them and a snack and they’ll have a color brochure on hand that highlights your house. They will be sitting in their B&B that night analyzing all the houses and your house will stand out. There is a high probability that if you do all the above, the buyers will love your house and write you an offer at close to asking price. This is how to Merchandise a house to sell. Now let’s look at marketing a house to sell. My 3 Steps to Marketing your house to the buyers. 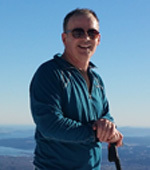 The typical buyer moving to Salt Spring is usually a couple or single, 55 to 60-year-old, usually semi-retired or retired professionals or business owners, with a net worth between 500k and 1mil. Their net worth might be supplemented in the form of a government pension, annuity, rental income, proceeds from a business they may have sold or they may continue to work part-time via the net. They are from an urban city, have extremely high taste, are well traveled, well read and are very focused on themselves, their family and friends. They want it all, they want it now and they know what they want. Let’s face it, Salt Spring is not low end, Salt Spring attracts buyers with discerning tastes. Your house has to appeal to these buyers if you want to sell for top dollar. The typical, on-island buyer, is either single or a couple who is doing an on-island vertical move either up-market, downsizing or moving closer to town. Usually, they work at a local business such as; school district, hospital, ferries and or private business. The on-island buyer will know the island very well and be focusing on location and quality, not necessarily the look of the place. The last group of buyers represents less than 5% of the buyers. They are the handy person looking for the house to fix up either to live in or flip. This is a very small buying group. They are looking for a deal on the home that has been well worn. They buy on price, price, and price. To make it work for them they have to buy at a low market price. They have to buy a home in a great location that can be fixed up and sold for more without the market moving up in price. So there are a few of the basic types of buyers. How did it work? When I bought my first home, the MLS® was in book form, there was no online shopping. I could only look at the book at my agent’s office or in her car. She would not give me a copy of the MLS® book. She had all the information. I spent hours at her office going over listings. About 10 years ago the MLS® went online. The buyers have complete access. This has been a paradigm shift and some agents have resisted. They were used to having all the information and hoarding it. They could direct the buyers to look at the properties they wanted the buyers to see. Today the buyers see what they want to see. Today approximately 90% – 98% of the buyers are searching for real estate online. They search while sitting at their desks, at home, in the coffee shops (probably reading this). 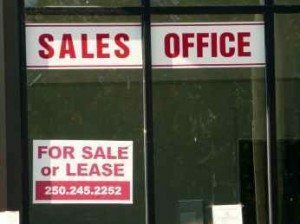 How many go to real estate offices and look? The days of the real estate office are numbered. Here is a picture of closed one on Vancouver Island. So if the buyers are searching on-line how do we get them to buy your house? What do the buyers want to see? Why will they look at your house? Buyers want to see gorgeous photos of your house. This clip below shows what it takes to get great photos. Assuming I have 36-50 wide angle (28mm) photos of your home and perhaps a video clip, it is time to start to pull all the listing information together and to make a dynamic listing presentation of your house. With all the information that is in the Brag book and the photos, I make a powerful, online presentation of your house. Buyers want to see rich listing details with all the information about the houses they are looking at. The days of 6 photos of a house are gone. We will make a dynamite, interactive listing for your house that is put on the MLS® and has a link off the MLS® to more photos of your home. Once the buyers click on the view multimedia link they come right to more photos of your home. How do you price a house to sell? First things first. How badly do you want to sell? What is your motivation to sell? Are the bill collectors standing at the door? Is your mortgage in arrears? Do you just want to see what you could get? 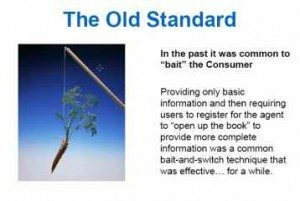 Are you fishing for a high price? Did you get an appraisal done on your house as part of gathering the information? If you did, you should have a pretty good idea of what your house is worth. 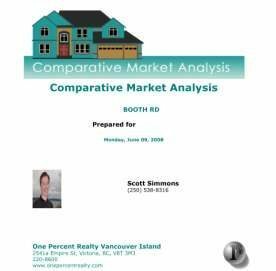 What most agents do is a Comparative Market Analysis of your house. This CMA will have 3 types of houses it compares your house too; Sold houses, Active listings and Expired/ canceled listings. 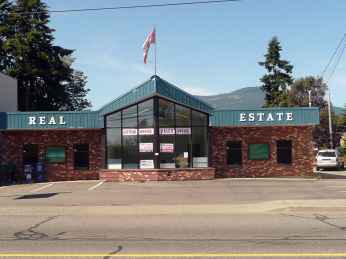 Each house should be similar to yours in lot size, size of the house, the age of the house, style of house, view from the house, lot location, etc… Now on Salt Spring, this is not an easy task but this is what the buyers are doing to select a house to buy. They are looking for Value and the Value leader in their price range. No products are sold because of features of the product. Features are useless…… buyers buy because of the benefits of the features. Buyers want benefits from the house they buy, such as a large deck designed for entertaining. If entertaining is what they want to do, the feature of the large deck will appeal to them. If they do not entertain the large deck may be an unwanted burden that will require painting and cleaning. It comes down to BENEFITS, BENEFITS, and BENEFITS for the buyers. Does your house offer appealing benefits to buyers or does it look like a money pit? Very few people want a house that needs work. Another type of pricing tool is replacement cost analysis. How much would it cost to replace the house with a similar lot? In this market, there is not a good selection of building lots and construction costs are way up. Some buyers will look at the possibility of building new and getting the Benefits they want. There are three basic prices you can have for your house; below market, market priced and overpriced. The sellers’ fear is always that they are going to sell too low and give away their house. In reality, if you have a good agent this would be technically impossible to do. If your house is on the MLS and you have it priced at a market price or below the market price you will get lots of showings. If you are truly below the market price you will know because you will get multiple offers and the buyers will have to outbid each other to buy your house. The worst strategy is to overprice your house. It will languish on the market. Last year I visited with a couple who had their house on the market for over 1000 days and had three showings. They still would not believe they had overpriced their house. How could an agent overprice a house? Why would an agent overprice a house is a better question. Listings bring in the buyers. There is an old real estate saying, “you have to list to last”. Do you want your house to be the bait to sell other houses? I would think not. Do not get tricked into overpricing. If 3 agents tell you your house is worth 630k do not list with agent number 4 who says your house is worth 750k. It will not work. You have become live bait at that point. Salt Spring in 2016 was an overheated sellers’ market with very few listings you might have a hard time overpricing your house. Just put any price on it and you might have just received multiple offers. Now you need to price your house very sharply to sell in this current market. Your house has to have the best value in its price range and with the benefits, the buyers are looking for. Will the good old days of a sellers’ market come back? Yes, one day but who knows when. My guess is that in 2016 there will be a shortage of listings but who knows what the future holds. This is now. Can you wait 6 years? If you get anything from this page I hope it’s this; do not make the fatal mistake of Overpricing your house and failure to take into account the opportunity cost of the equity in your house. One veteran real estate agent told me 98% of Marketing is Price!!! How can I do it all for so little? Easy. I leverage the Internet and work out of my home office, not a fancy old-fashioned real estate office that no one goes to anyway. Low commissions are a way of letting you lower your selling price but keep more of the money in your pocket when you sell. 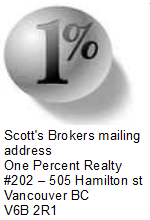 What about the myth that other agents will not show a 1% listing? If you have followed the steps above your house will be irresistible to the buyers and the other agents will bring them to see your stunning house. The buyers’ agent might ask the buyers to pay them more commission or might ask you to pay more commission if they bring in an offer. This puts you, the seller, in the driver’s seat. It gives you leverage an when an offer comes in. The buyers like low commissions because they know you are not being charged as much and can sell for less or sell at market price and make more. Low commissions are a win-win for everyone but the high overhead agents who are not adapting to the new online world we live in. Don’t worry, they will learn to adapt or go out of business. Here is a an comparison of what I charge and what other agents charge. 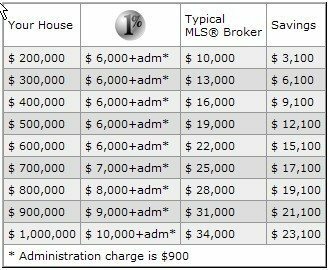 This is based on typical MLS® brokers charging 7% on the first $100,000 and 3% on the balance. Commissions are not all the same and there are no “standard commissions” but this is what we are comparing on this chart. Ask what they are going to charge you and do a comparison. All commissions are subject to 12% HST. One of the biggest financial mistakes I see sellers make is the failure to realize commissions can only come out of their home equity (or capital). This is an example; If a house sells $600,000 and $500,000 is owed to the bank (mortgage) they will net out approx $100,000 (this is their “home equity”). Out of this $100,000 equity, they will pay the $22,000 commission (if they use a typical 7/3 agent), which is more than 20% of their equity. Why would someone give away so much of their equity? It just does not make financial sense to me. I’m always shocked when I see this happen. Those that can afford it the least seem to pay such a staggering amount of their home equity (their home equity is usually most of their net worth) to sell their house. It’s really quite shocking and sad to see that so many make such bad financial decisions. My Financial planning 101 advise is preserve your after-tax capital, invest it wisely and make it work for you, Do Not Give it away. My Goal is to help you put one of these signs in front of your house through effective merchandising and professional marketing of your house. This will happen if we price it right to sell in this market.